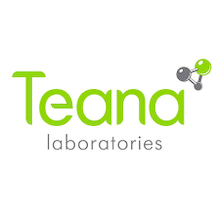 TEANA LABORATORIES was founded in 2007 and gained a reputation of the most dynamic and innovative Russian skincare brands. The brand was introduced to South African consumer in 2016 by its official distributor in SA, Skin Connection – Durban-based company and has gained a lot of faithful clients and users of the product since then. The TEANA LABORATORIES team closely monitor and implement the latest cosmetology trends combining biotechnology with natural ingredients. All products are functional – they are created for professional and home use, ensuring your skin always gets the best. TEANA products proudly support cruelty-free and “no nasties” policy. ACTIGYM – your secret personal trainer – improves body tone and redefines the silhouette by reducing abdomen and thigh circumference, decreasing arm sagginess and cellulite appearance, increases lymphatic drainage. (Note: This product is not a replacement for physical activity. The effects of this wrap will help to reduce water retention which reveals a slimmer and firmer you). Nocturshape – promotes slimming effect at night time by preventing lipids (fat) accumulation and stimulating fat burning all while you are sleeping. Added hexapeptides stimulate collagen production, prevent inflammation and activate cells rejuvenations process. If you just lost or gained weight, have a low muscle tone and want to help improve the look and feel of your skin, or just need to firm up skin after surgery, then let the “Magic Touch” work its magic! (always check with your doctor before embarking on any post-surgical treatments). And yes, IT IS HOT! Magic Touch can be used as a wrap maximising the effect (professional use) or applied daily as an anti-cellulite gel (at home use). Not recommended to apply on stomach, or if you are pregnant/breastfeeding. Should not be used in case of rosacea (visible blood vessels on face or body). Can be used on one zone at a time for not more than 30 minutes. If your skin does not take wraps well, apply a thick layer of Magic Touch as a 20-minute treatment. For a treatment price – this is to be confirmed with your therapist at a Skin Renewal branch. To buy the TEANA Magic Touch for at home use, click here. To book a treatments at a Skin Renewal branch, click here.